Does the Maintenance Plan Hand Out Discounts Like Candy? Discounts on Services: It’s estimated that 85% of HVAC problems can be prevented with regular maintenance. The other 15% of the time consists of those problems no one ever saw coming. You simply don’t deserve that kind of thing, so a service discount can help soften the blow. Discounts on Equipment: After a few years of owning an HVAC system, it’s not uncommon to start thinking about accessories and upgrades: humidity controllers, air filters, germicidal lights. A nice discount can put these luxuries in your price range. Does the Plan Make You Feel Special? 5-Year Repair Guarantee: Have you ever questioned the service you receive from an HVAC tech? Like maybe they’ll fix the problem for now, but 6 months later another problem suspiciously arises, and now you’re calling for repairs again? Well, an extended repair guarantee will double-down on eliminating that doubt. If your system breaks again during that time period, you won’t have to pay anything. Priority Service: Now this is how it feels to be treated like royalty. When you’re on the priority service list, your emergencies will become top priority. Our plan will even waive the overtime fee that regular customers have to pay. Is It Actually Backed by Good Service? The basis of any good maintenance plan is none other than good, authentic service. Maintenance checks are designed to keep your system running smoothly for the whole year. The benefits are there to give you value for every other day in the year. It doesn’t hurt to ask what your technician plans to do during their maintenance check. 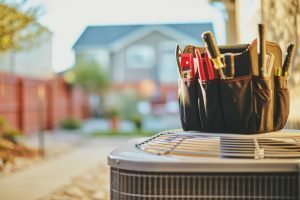 While you might not understand the technical details, like the difference between an evaporator or a condenser coil, you should at least be able to get a rundown about what they plan to check during their maintenance. To learn more about our Ultimate Service Agreement Plan, get in touch with one of our professionals. Contact Westland Heating & Air Conditioning today.